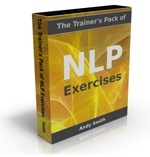 You are here: Home / All / Anchoring / Introduction To NLP Anchoring 2: What Is Anchoring? 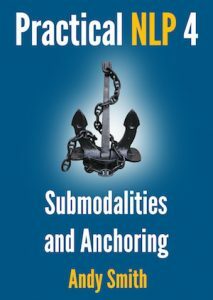 In which we find out how and why anchoring works, and look at some commonly occurring natural anchors you might find in everyday life. – Richard Bandler and John Grinder, Trance-Formations (the best NLP book on understanding hypnosis, by the way). The experience as a whole (including the emotional state) is “anchored” to the individual element, which acts as a ‘stimulus’ bringing about the ‘response’ of the whole experience. I would also add that you can intentionally anchor a behavioural response, or an internal representation, to a stimulus. The key here is not so much intensity, as repetition – if you consistently make the internal representation or do the behaviour each time you get the stimulus, after a few times the representation or behaviour is conditioned in and becomes an automatic response to the stimulus. Science has known about this for decades before NLP. It’s straightforward stimulus-response conditioning. Does the name Pavlov ring a bell? Way back at the end of the 19th Century, Pavlov was researching stimulus perception in dogs. Anyone who has a dog will know that when they smell food that they like, they start salivating like crazy. That’s called an ‘unconditioned response’; there’s a naturally occurring neurological mechanism that sets off the salivation when they smell the food. Pavlov noticed that as soon as the dogs saw the white-coated assistants through the window, bringing the food over at feeding time, they started salivating, before they were in smelling range of the food. He thought there was something interesting going on, so he decided to test it. Every day, before the dogs got the food, he would ring a bell. The dogs would smell the food, and salivate. Ding!-food-salivate; Ding!-food-salivate; day after day. Then one day he just rang the bell, with no food. The dogs still salivated. So what was going on? Well, as far as we can tell, the dogs weren’t forming a mental image of the food, like Homer Simpson, and they certainly weren’t saying “Mmmmm, foood….” to themselves. The artificial stimulus of the bell had become linked in the dogs’ neurology to salivating. It was a ‘conditioned stimulus-response link’ that Pavlov had created artificially through repetition. And it doesn’t just work on dogs. 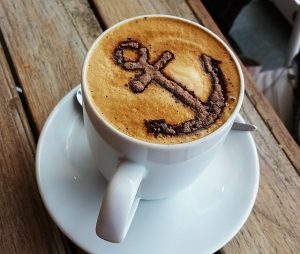 Our neurology is pretty similar, and we each have a set of ‘anchors’, as we call them in NLP, that we’ve picked up through our lives. Some of them have been deliberately trained into us, and some we’ve picked up by accident. So, if you’re driving, what does a red light mean? Yes, stop. Now, you could process that cognitively: “Now, let me think. In all previous instances in this context, a red light has meant that you should stop, so I will take the appropriate action.” But that wouldn’t work – it would take too long. We can prove it. Have you ever been a passenger in a car that’s driven by a person who likes to drive really really close – much closer than you would like – to the car in front? And what does your right foot do when you see those brake lights come on? That’s right – your foot’s slamming on that brake pedal that isn’t even there! Common visual anchors include logos, celebrities, religious symbols, typefaces, facial expressions, the weather, stop signs, gestures. Auditory anchors: Words, names, voice tonality, jingles, accents, ringtones, music, sound of familiar voices, engines, yawns. Touch (‘kinesthetic’) anchors: Clothing, exercise, a certain kind of touch, warmth. Taste (‘gustatory’) anchors: Vinegar, garlic, lemon, chocolate, peppermint, cough medicine. If you’ve ever gone back to your old school as an adult, you’ll know that distinctive smell can take you back to your childhood. It’s an anchor for age regression, and it works instantly, as soon as you step inside. Anchors can work instantly to change your state and influence your perceptions. Wine in a bottle with an expensive label will get a much better review – from professional wine-tasters – than the same wine in a blind tasting. Psychologists have done experiments where they’ve given people beer without telling them it’s non-alcoholic – and the people have shown all the symptoms of drunkenness, because every time their physiology has encountered that taste before, there’s been alcohol involved. Fortunately, we’re not just limited to the anchors that we’ve happened to pick up through our lives. Just as Pavlov did, we can also link particular states – and we’re going to choose resource states – to a stimulus of our choice. Through anchoring, you can gain access to resource states from the past, and link that past state to situations in the present or the future when you really need it. In the previous article we encouraged you to look at what automatic responses to particular triggers you would like to change. Here’s a quick exercise to help you understand the power of anchors better and find your naturally occurring ‘positive anchors’. If there are words, tunes, or images that make you feel particularly good, or that take you back into a good memory, what are they? Take a few minutes to explore and list them – it’s always useful to be aware of the resources you have. In the next article, we’ll discover the four steps to setting an anchor, and the five keys to making it work.